Following on from this morning's news that Phil Harrison, Sony's Head of Worldwide Studios, is set to move on to pastures new later this month, TechRadar decided it would be timely to take a look back at 20 years of PlayStation - one of the most iconic gaming devices ever made. Emerging one generation after the Sega Megadrive and Nintendo’s SNES, PlayStation took gaming to a new level of performance and convenience and the brand has established itself as the most powerful in the history of gaming. Nearly 300 million PlayStation-branded consoles have been bought worldwide, the most successful model being the PS2 which has contributed over 120 million sales on its own. However, success didn’t come easily. Here’s TechRadar's 20-year timeline that plots the history and the development of the Sony PlayStation story. 1988 – In the year that the Olympic games were held in Seoul, South Korea, Sony was collaborating with Nintendo to develop a CD-ROM drive for the latter’s 16-bit Super Famicom (Super Family Computer), due for release in 1990. However, Nintendo and Sony fell out, with Ninty fearing that Sony might eventually become a threat as a gaming entity. So it decided to partner with Philips instead. Sony continued to work on what was to become the first PlayStation console, although the first model never made it onto the market. 1992 – After Sony’s first attempt to enter the games market failed, it began to develop the PS-X (PlayStation Experimental). Sony made sure that developers from game giants like Namco and Konami were on board with the project from the beginning. This was to make sure the console would be supported by the best games programmers. Sure enough, when the resultant Sony PlayStation was unveiled in 1992 the entire industry sat up and took notice. The 32-bit system was more powerful than any other console on the market. 1994 – The Sony PlayStation went on sale in Japan for 39,800 yen (about $360 at the time) in time for Christmas 1994. 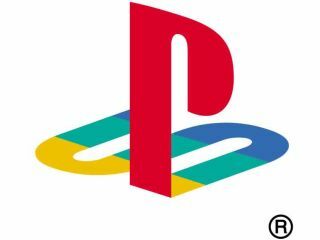 1995 – By May 1995, over one million PlayStation consoles had been snapped up by Japanese gamers keen to embrace the new generation. In September of this year, the console launched in the USA for $300 and sold over 100,000 units in just two days. It also went on sale in the UK and the EU at the same time, for £299 – a lot more than the US price. 1996 – By January 1996, Sony had launched 16 games, with a further 18 becoming available from third-parties. By now, Sony had shifted over 3.4 million of the consoles; half a million of those were bought in Europe. By the end of the year, over 10 million PS consoles had been bought. 1998 – By the time October 1998 came around, global shipments of the console had reached 43 million. The total amount of hardware sold was worth £8.6 billion. In the meantime, Sony did not sit on its laurels and was developing a follow-up console to kick-start the next generation. 2000 – By January 2000, over 70 million PlayStation consoles had been shipped, and on 4 March, the PlayStation 2 went on sale in Japan. Nearly a million were bought on the first day. In July, Sony also launched a new-look version of the original PlayStation console. Called the PS One, it was much more compact than its predecessor, but otherwise identical. In September, Phil Harrison was appointed senior vice president of Development at SCEI. October and November saw the US and European release of the PS2. Half a million were sold in two days in the US, with similarly impressive figures in Europe too. The console originally cost a hefty £299 in the UK.